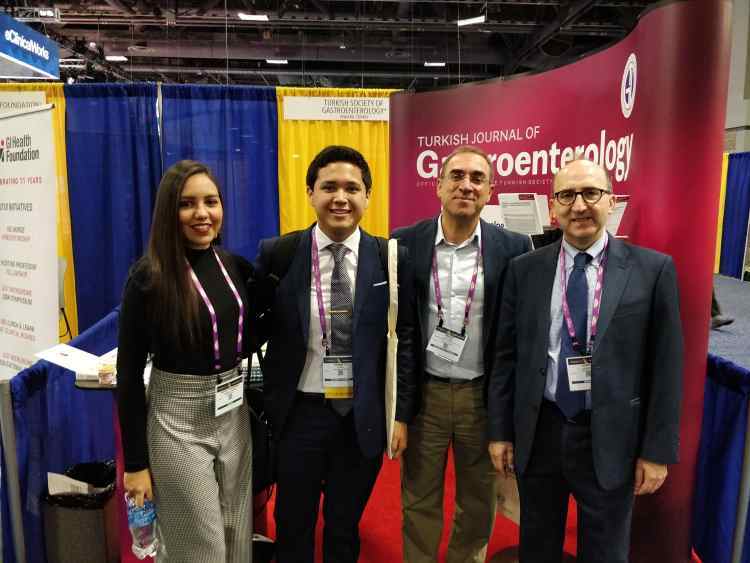 We promoted our scientific journal, Turkish Journal of Gastroenterology (TJG) at Digestive Disease Week (DDW) held in USA. “Lancet”, “Nature and Gastroenterology” and “Hepatology” also participated in the congress where our TJG booth received a great deal of attention. We presented printed copies of our journal and reprints from selected articles to our visitors and Turkish delight was served. Our foreign colleagues and academics were happy to meet TJG at a senior congress like “DDW” after “United European Gastroenterology” and talked with our editors in person and received information about our journal and articles. The participants were happy to personally meet the editors and were willing to submit articles to the TJG. Our journal will also participate at UEG Week to be held in October. We would like to take this opportunity to invite our Turkish colleagues to the booth of our journal at UEG Week.